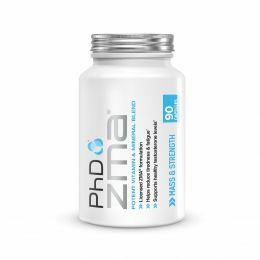 What are PhD L-Leucine tablets? L-Leucine is one of the key branched chain amino acids and has long been used by sporting professionals as part of their nutritional plans. As an essential amino acid, L-Leucine cannot be produced by the body and therefore must be obtained from the diet. PhD Nutrition provides high quality L-Leucine in a convenient capsule format, making it easy to maintain your daily intake. As one of the vital Branched Chain amino acids, Leucine is hugely important to support heavy training and the muscle building process. Excellent to stack with Pharma Whey HT+ and any high protein shake, L-Leucine can also be used pre workout with VMX2, during workout to boost the L-Leucine content of Intra BCAA+, or post workout with Recovery 2:. Many PhD users will use L-Leucine before bed to facilitate the period of re-building during sleep. Who are L-Leucine tablets suitable for? Suitable for body builders and weight trainers. Excellent for athletes seeking increased rebuilding post exercise. Free from artificial colours & preservatives, yeast, gluten, starch and lactose. No added salt or sugar. PhD L-Leucine capsules contain gelatine and are not suitable for vegetarians. L-Leucine, Flow Agent (Magnesium Stearate), Gelatine Capsule (Gelatine 98%, Titanium Dioxide 2%). Take 6 capsules 1-2 times daily with water. L-Leucine is best used before or after exercise. 90 x 500mg capsules.